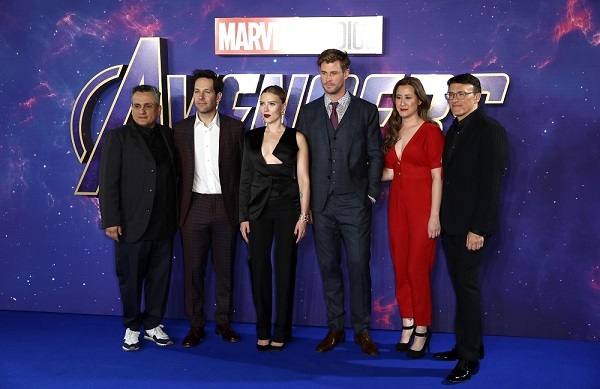 While Robert Downey Jr, Brie Larson and Jeremy Renner were present in South Korea, Scarlett Johansson, Chris Hemsworth and Paul Rudd promoted the film in London. Scarlett Johansson attends the 'Avengers Endgame' UK Fan Event in London, England. Scarlett Johansson famously known for her role as Black Widow made heads turn when she made an appearance at an Avengers: Endgame event last week. Marvel's most-anticipated film of all time is slated to release in ten days time in India and the cast of the film along with directors and producers have been going all out to promote the film. With a massive fan event in South Korea's Seoul, the cast have split up and are promoting Endgame in all different corners of the world. 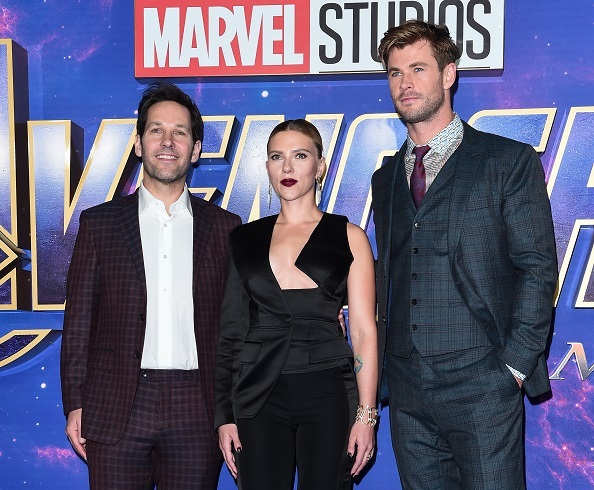 While Robert Downey Jr, Brie Larson and Jeremy Renner were present in South Korea, Scarlett Johansson, Chris Hemsworth and Paul Rudd promoted the film in London. The star cast looked perfect as a picture in their stunning outfits. Especially Scarlett, as it looked like the actress remained true to her character in an all black outfit. Scarlett was wearing a super edgy black Tom Ford tux with a unique twist. The look from the brand’s spring 2019 collection is composed of an asymmetrical cut-out silk satin jacket. Scarlett finished off the look with simple black pumps, a pair of diamond earrings and a silver cuff bracelet.